Real Madrid are once again believed to be back in the race for Manchester United goalkeeper David De Gea. According to a report in Manchester Evening News, Real Madrid believe they can finally land David de Gea for a fee in the region of £100m. That could see the Spaniard become the costliest goalkeeper in the history of the game. Real have been keeping tabs on De Gea for years, and their president Florentino Perez wants him to join the club. But United believe that they will not lose their shot-stopper to Real, as the player himself has not pushed for any move. With the Spaniard believed to be happy at the club, United are set to trigger an extension that could see him stay put in Manchester till 2020. But the Old Trafford unit wants to tie him down with a long-term deal, most probably after the World Cup itself. Uncertainty over the 27-year-old’s future has become an annual occurrence at the club, and since a long-term deal hasn’t been offered to the player yet, Real have taken that as an encouragement in their pursuit to lure the Spaniard to Madrid. 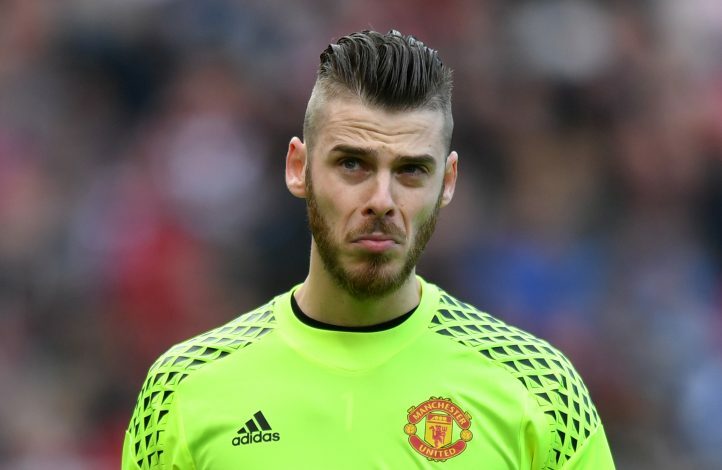 Back in 2015, the Galacticos came within seconds of signing De Gea in a deadline-day deal that fell through, because United failed to deliver the paperwork in time to secure the international transfer clearance. De Gea then signed a contract extension under former manager Louis van Gaal, and has since excelled with his work ethic. Jose Mourinho will want to have his man at the club for as long as possible, and the Portuguese will definitely offer him a new contract soon.